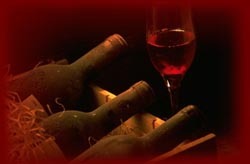 Altamirano Alcohol Industry Consulting is a full-service liquor processing and education company. AAIC proudly represents on and off sale liquor establishments throughout Arizona. AAIC deals with all seventeen types of alcoholic beverage licenses in Arizona, offering training, consulting, security consulting, and expert witness services. With over twelve years of liquor law experience and twenty-two years of law enforcement experience, Altamirano Alcohol Industry Consulting has achieved a reputation of the utmost integrity and expertise within the alcohol industry. AAIC is dedicated to making your business operate efficiently and in accordance with all state and local statutes.